The Irish presidency of the EU hosted in Dublin two weeks ago the first meeting to discuss a partnership between the responsible authorities for medical devices (CAMD) and heads of medicines agencies (HMA) from across the EU. Ann O’Connor, director of the Irish Medicines Board (IMB), said in a statement following the meeting that updated regulation on medical devices and in-vitro diagnostic devices was a “priority for Europe”. The Dublin meeting was the first time that medical devices stakeholders – including industry representatives – met with the HMA and CAMD regulatory bodies. The meeting comes shortly after the European Commission published its new proposals to the revise medical devices regulation. But industry disagrees with the direction this regulation should take. The European Parliament’s environment and public health committee will host a follow up meeting on 26 January, with a source in the medical industry saying “fireworks” were expected. Under the Commission proposal, so-called notified bodies – authorities given the power to review the quality of medical devices before they reach the market – would take on a stronger role. The proposal includes a controversial scrutiny procedure, which allows the authorities to carry out random checks of more invasive medical devices late in the approval process. The European medical devices industry association Eucomed has criticised the proposed scrutiny procedure, saying it will delay the authorisation process and time to market. The EU’s decentralised approval system reportedly makes medical devices available on the market three to five years earlier than in the United States, without compromising on safety. The association said the changes must be made to the proposal if the European system is to maintain its global reputation for safety and speed to market, issuing its recommendations before the regulation is approved by the European Parliament and member states. “The five measures would replace the Commission’s proposed scrutiny procedure, which industry finds inappropriate as it is random, ineffective and does not contribute to patient safety,” read a statement by Eucomed. The association called for more stringent control measures on the watchdogs that go beyond the EU executive’s current proposed measures such as the ability of the Commission to further specify the regular checks of manufacturers by those authorities. “Industry believes that a comprehensive systematic control procedure is necessary that includes measures to ensure that notified bodies are meeting the highest quality standards as well as ensuring that the clinical evidence for medical devices is being properly reviewed by independent clinical experts”, Eucomed said. 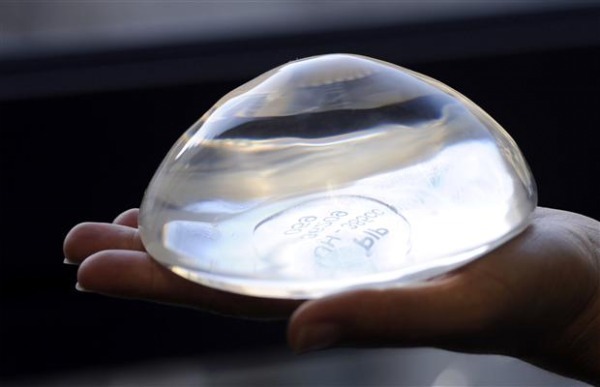 Former European Health Commissioner John Dalli said in a statement that better market surveillance, including spot checks, would provide a better guarantee of the safety of medical technology and help prevent future frauds such as the PIP breast implant scandal. In December 2011 the problems affecting breast implants made by French company PIP hit the headlines, provoking Xavier Bertrand, France's then-labour and health minister, to call for tighter EU regulations on medical devices. A regulation on in-vitro diagnostic medical devices. 24-25 April: CAMD meets again in Dublin.